New Delhi [India] Mar 19 (ANI): Putting all the speculations to rest Alia Bhatt took to her twitter to announce about her next movie titled 'Inshallah'. 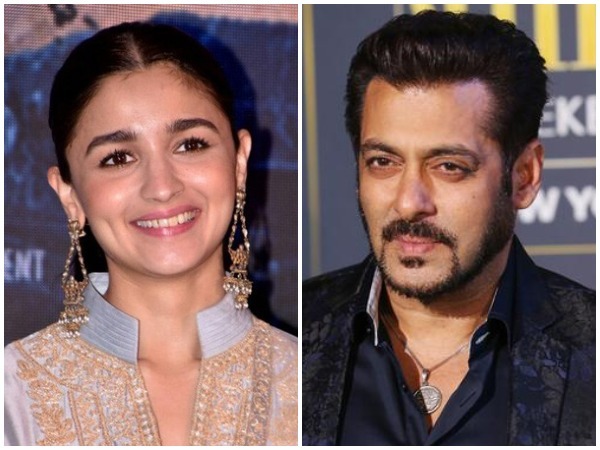 The movie directed by Sanjay Leela Bhansali would see Alia Bhatt and Salman Khan in lead role. New Delhi (India) Dec 3 (ANI): Sanjay Leela Bhansali's 'Devdas' is not just a film, it is a feeling. And Madhuri Dixit's latest Instagram post will remind you of the epic classic the movie was. New Delhi [India], Aug 30 (ANI): Bollywood diva Aishwarya Rai Bachchan has denied the rumours about her opting out of director Sanjay Leela Bhansali's next film, terming reports about it 'baseless and untrue'. New Delhi [India] Aug 13 (ANI): Ranveer Singh and his rumoured girlfriend Deepika Padukone have been inseparable since Sanjay Leela Bhansali's 'Goliyon Ki Raasleela', but the duo has always maintained a stoic silence over their relationship. New Delhi, [India] Aug 07 (ANI): It turns out that Bollywood filmmaker Sanjay Leela Bhansali will not be directing Priyanka Chopra in his upcoming gangster movie. New Delhi [India], July 12 (ANI): Madhuri Dixit Nene, who is known for her iconic role as 'Chandramukhi' in 'Devdas', got nostalgic as the 2002 movie completed 16 years on Thursday. New Delhi [India], Jun 22 (ANI): Sanjay Leela Bhansali's 'Padmaavat' is continuing to set benchmarks at a global level. New Delhi, [India] Apr 23 (ANI): The Supreme Court on Monday dismissed a plea to ban the last scene of Sanjay Leela Bhansali's 'Padmaavat'. New Delhi [India], Apr 23 (ANI): The Supreme Court on Monday dismissed a petition, which sought deletion of a scene from Sanjay Leela Bhansali's film 'Padmaavat'. Mumbai (Maharashtra) [India], Mar 12 (ANI): Power-house Ranveer Singh, who has wowed everyone with his exceptional acting in movies like 'Padmaavat', Bajirao Mastani' among others, has revealed he was never attracted to fame.